The criticism leveled at L&D departments is frustrating. There are so many great professionals out there who want to create a skilled and talented workforce if they were only given the freedom, budget and more importantly the support from senior and managers. Is that expectation to high? We come back to the chicken and the egg scenario. If you want support you need to get results, if you want results you need to have the budget to implement a programme with the right people. Are there other ways to make a difference? Get noticed? Get great results and create impact? Our info-graphic highlights the important points in 4 very key areas of focus. 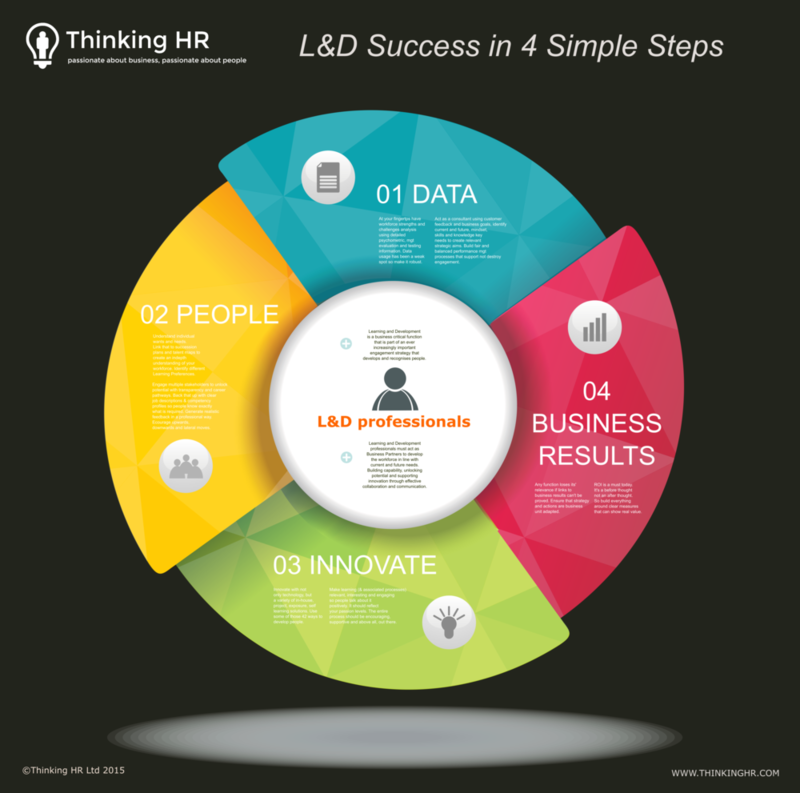 They are the foundations of a successful approach to L&D practice. With a focus on business results which is supported by data led recommendations, that engage and involve people in the process that delivers a truly innovative approach. You can lead the charge of the function to elevate it's success and deliver results as a true Business Partner. To expand much further on this topic we have a masterclass running on the 9th of October in central London. Why don't you join us?